Thank you for all of you who prayed for us!! It was obvious that God was going before us and that your prayers were the energy behind our work and all that was accomplished in 3 short weeks. We experienced so many blessings!! Everywhere we went we were able to TOUCH LIVES AND BRING HOPE. We prayed for hundreds of people and saw lives changed before our eyes. Miracles happen for those who believe and expect them. Both the Youth Conference and the Women’s Conference were powerful! Again we helped a lot who were sick as well as those who needed food. That’s just what we do when we go to Africa. We had a wonderful morning service at the African Bible Church, on the Buduburam Refugee Camp in Ghana. What a wonderful service! Their theme for this year is DIVINE RESTORATION. Through out our time on this trip to Liberia and Ghana we witnessed God restoring lives. This was the highlight of our trip… divine restoration!!! “He restores my soul” I am happy to report that Aaron Paul is back with Provision of Hope. VISITING ONE OF OUR SICK WIDOWS Daniel Coleman stands by one of our widows named Sarah. Daniel has a heart full of compassion and is head of our Mercy Ministry. Here are the widows who will receive their bags of rice after a time of fellowship and prayer. After handing out the rice bags we visited several of the widows’ homes. We saw those who had no mattresses, and only a few blankets so we provided what we could. With your help we can provide more in the months ahead. SUMO AND DECONTEE GIBSON FIND THEIR MOTHER after being separated for 20 years. What a happy day! They did not know for sure if their mother had survived the wars. Last year we gave Sumo money to search for his mother, but he came back with no news of her. This year, as soon as we arrived, he told us a woman had located his mother!! We gave him money to travel to her county to meet her. What a reunion!! Sumo brought his mother to his sister, Decontee’s place, where we could all spend time together. We have several of our orphaned students, who are wanting to go in search of their missing mothers. During the wars many were scattered and have lost track of each other. Some already know their mothers are alive, and where to find them. All they need is funds to get there. As funding is provided more of our students will be allowed to search for their families. 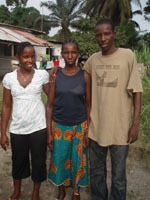 We were able to bless Sumo and Decontee’s mother with $200 USD to boost her farming business which is how she makes her meeger living. Mamie was so grateful for the help we have given to her children. 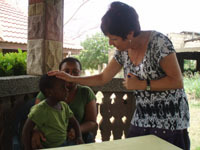 Provision of Hope is most concerned that families are brought together so we put great effort into locating family members. Sumo Gibson will be graduating from Cuttington University with a degree in pharmacy. Decontee has been in our program for the last four years and is now in grade 11. PRAYING FOR DEBORAH WILLIAM’S DAUGHTER at the Golden Gate Hotel close to the Buduburam Refugee Camp. Deborah is one of our Single Mothers on the Empowerment Program. Her daughter had an operation to remove one kidney because of cancer. We are praying for her complete healing and that her one kidney will be sufficient. Other single mothers are needing various surgeries as well. As funds become available we will schedule these. THE SINGLE MOTHERS EMPOWERMENT PROGRAM on the Refugee Camp has grown to 47 women already. WOW! These are women who are devoted to prayer, and are called the Provision of Hope Intercessory Women. They meet every Saturday for prayer. We had a powerful time of prayer with them on Saturday morning, as well as at the women’s conference. We are at number 13, on our way to empowering 47 single mothers. These mothers decide what trade or business they wish to pursue. We have women who are in cake decorating, beauty schools, tailoring, nursing, pharmacy and small businesses. This is how they are providing for their children. With as little as $200 – $300 we can set them up in small businesses. This empowers them to provide for their own needs. 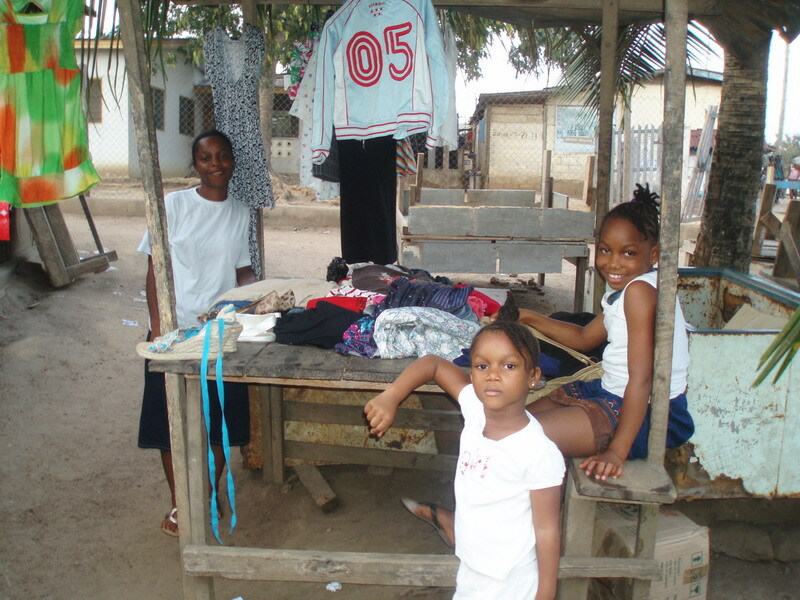 Marthaline Summerville and her two girls are out selling clothing. 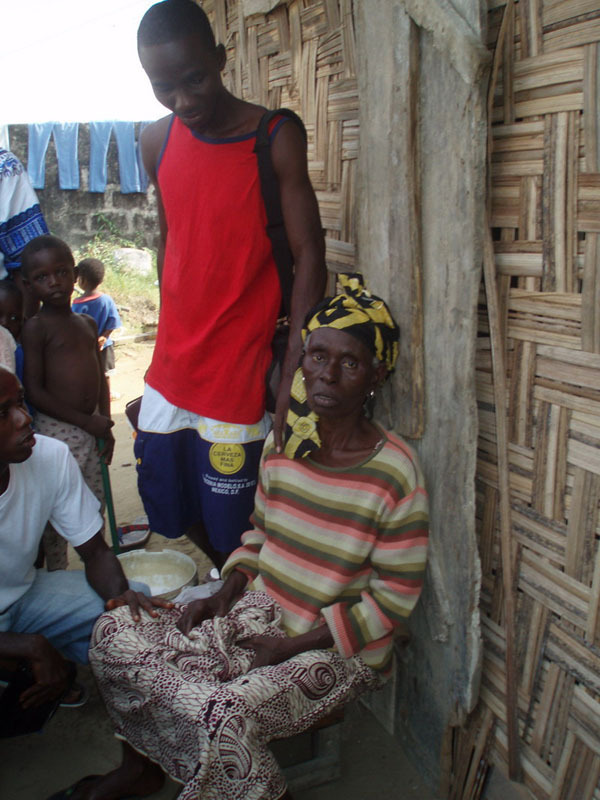 This is how she can provide food for her family and put her children through school. As funds come in we will continue empowering these single mothers. HOPE HOMES keep growing and continue to provide for orphan children’s needs. This is Ma Esther’s Hope Home. The children here are happy and well cared for. We had several wonderful meals with Ma Esther and the children. You should hear them sing.. WOW!! We now have a total of eight Hope Homes that we assist. Ma Esther and her children sang and danced for us! The DISCIPLESHIP TRAINING CENTER is going ahead with both Pastor Malcolm Harris and Pastor Aaron Paul leading these young men. The National Youth Conference with Pastor Jackson Weah, Pastor Keita, YWAM Director Jamil Kromah and several other pastors and churches, was a tremendous time of empowering the Joshua Generation and equipping them to rise up and conquer the land. We are raising up a group of Champions that will impact Liberia, changing the atmosphere wherever they go. We now have 66 youth on our program. We have put over 100 to school this year. Our primary goal is to raise up disciples and teach them to follow Jesus Christ. To go and “Do Likewise” as in the Good Samaritan story. WE ALSO MET WITH THE MINISTER OF EDUCATION, DR. JOSEPH KORTO to discuss which areas of education were most promising for future jobs and how to direct our highschool graduates. This was a very informative meeting. We were given contacts to further advise us in the field of Education. Thank you for the update. It it is wonderful to hear the results of Gods work! I have been praying for you and those you work with. I must confess that there have been times that i hadn’t prayed. Please forgive me for being negligent. I am recomitting myself to prayer for the ministry. How beautiful on the mountain are the feet of those who bring good news. May God bless the work of your hands. Yes may God establish the work of your hands. (I know HE has and does! Thank you Terri, you have always been so faithful to pray for me. I appreciate you so much! Brenda you are such a blessing!! Tremendous to see what a few dollars can do. God is more than able to accomplish His work and He can certainly multiple the whatever amount we are able to bring. He asks us to be faithful and I can see that through your ministry there is a difference being made in the great country. God bless and keep up the good work. Boye, I really missed you in Liberia this trip, but I know God has opened up the door for you in Australia, and one day, I hope to see you face to face again. Thank you for your prayers son. In God’s timing you will start Provision of Hope Australia! We have the same heart. Patrick you have been a part of all we are doing in Liberia! You are right, a few dollars can make a big difference. These days we’re buying blood for 10 USD a bag, and saving lives as a result. Babies die much too quickly in this land. It’s people like you who really make the difference! Oh Karen, what a great report. I didn’t commit myself to pray daily as our faithful Terri did, but I am amazed how often God reminded me – quite nearly daily!! And during our week of church prayer we had you on the prayer board. God is so very good in all His ways. You continue to amaze me in your own faithfulness to the projects, your energy seems endless, your vision steady. Your feet are beautiful. Love to you. Thanks for the update Karen! It is so encouraging to hear of God working in peoples’ lives. I definitely do believe that God has created you for this ministry, and I am glad to be a small part of it. I will continue to hold you, the ministry, and Liberia in my prayers. 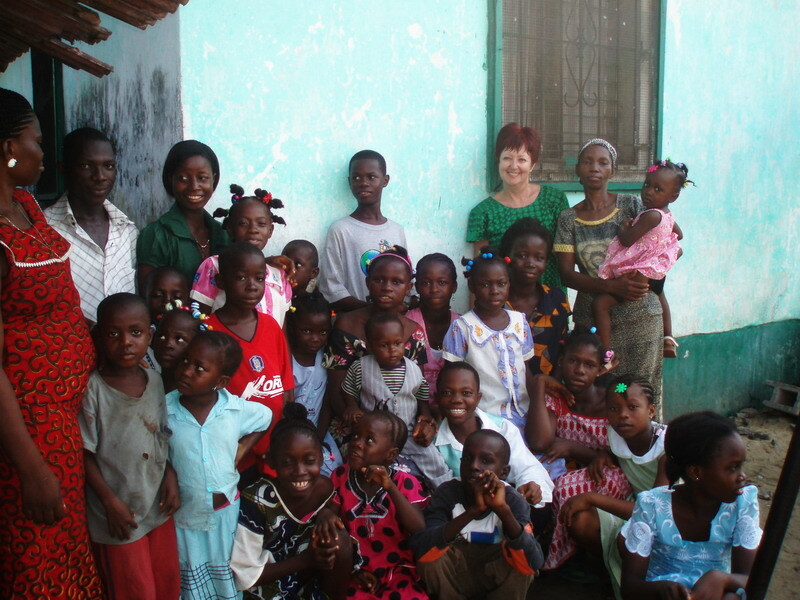 God is doing much in Liberia! Wow. . . what a report! I am especially interested in setting up businesses for women and the prayer journey in the camps as we’ve had dreams to pursue that in Congo. . . . gotta stay in touch! Rich wants you to know your card is in “My utmost for His Highest” Oswald Chambers which he reads almost every day. . . . so every time he reads it he prays for you!! Wow! Thanks for the update. Keep up the amazing work over there!!! Jan, thanks for your encouraging words.. as long as I have breath I will reach out to the poor! It’s what burns within me!! Thank the church for putting me up on the prayer board. Jodi, one day, just maybe you will come with me. Thank you for all you have being doing in our walk-a-thons!!! 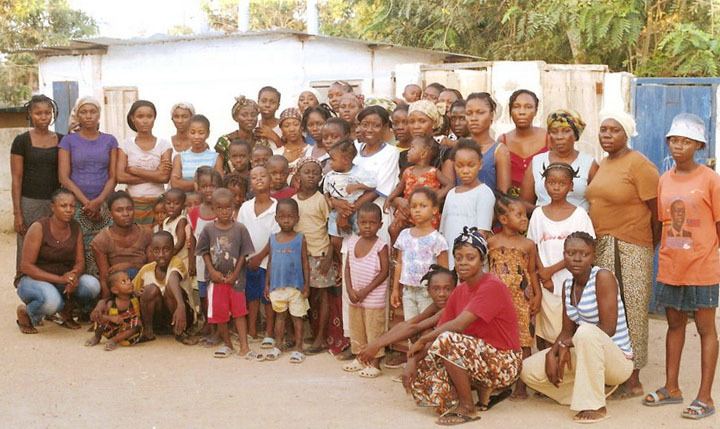 The Single Mothers Empowerment Program in the Buduburam Refugee Camp is a great success. These women, once given a small loan are prospering. I know it’s God’s favor on them, to bless them. Today, we released money to empower 2 more!!! All it takes is 200 Dollars, and they can feed their children. Thank you Rod and Lorrie, for taking Jackson Gbour as part of your family. He is so thrilled to have a mom and dad!! I wish you could have seen his eyes, when I gave him your family pics. BTW I forgot to give you his letter. I will mail it to you, along with his pics. 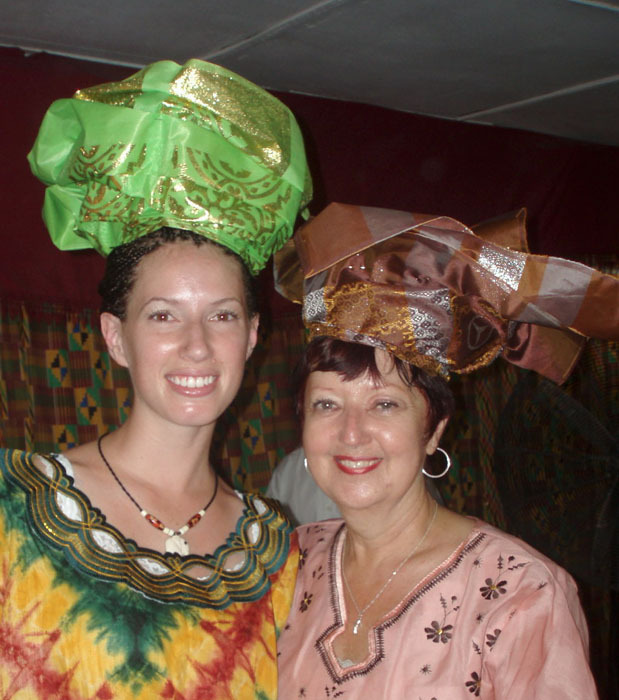 Aunty Karen, thank you very much for letting God use you as His instrument in reaching the Liberian people. 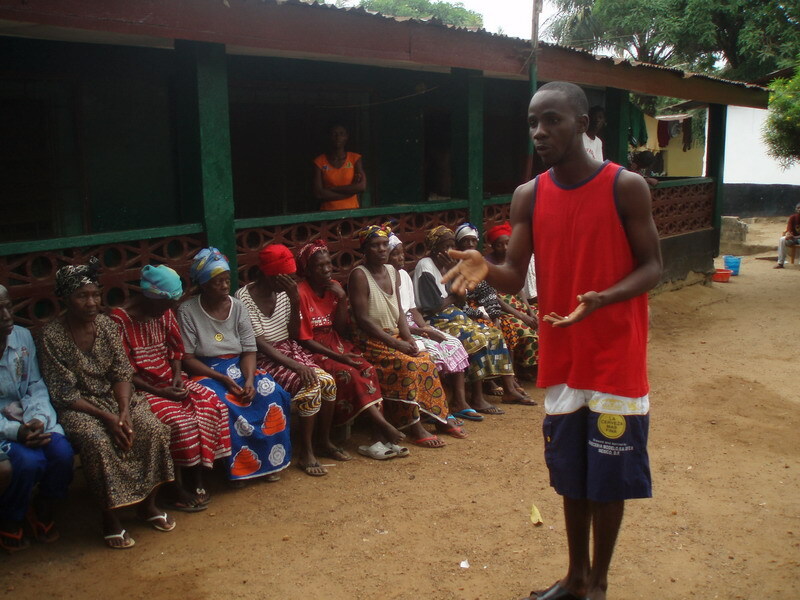 I personally saw how busy were out there in Liberia. God is doing amazing things through you and with the prayers support by faithful believers. Emmanuel I have a deep love for your people, who have also become my people. It was great to share time with your mom. We loved her wonderful meals as always. Cool that you were in Liberia, at the same time!! !